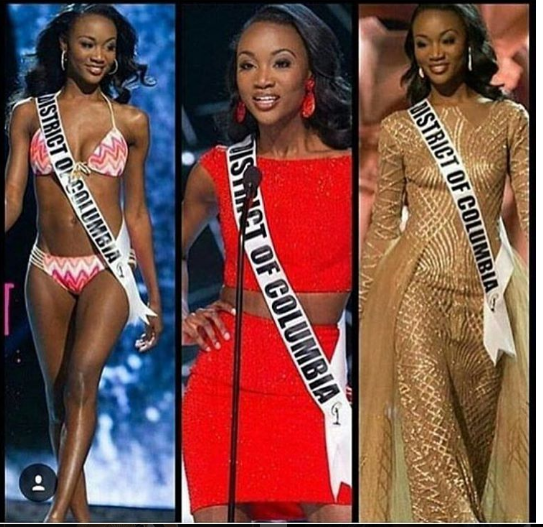 Miss District of Columbia, Deshauna Barber, was just crowned Miss USA 2016 at the conclusion of the pageant's live broadcast tonight. 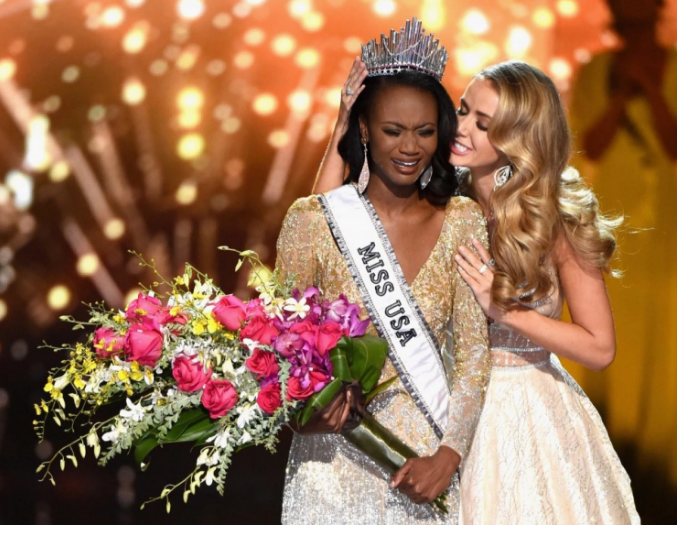 The new Miss USA, 26, is a logistics commander for the U.S. Army and an IT analyst for the U.S. Department of Commerce who wants to focus her platform on PTSD treatment for soldiers returning from deployments. 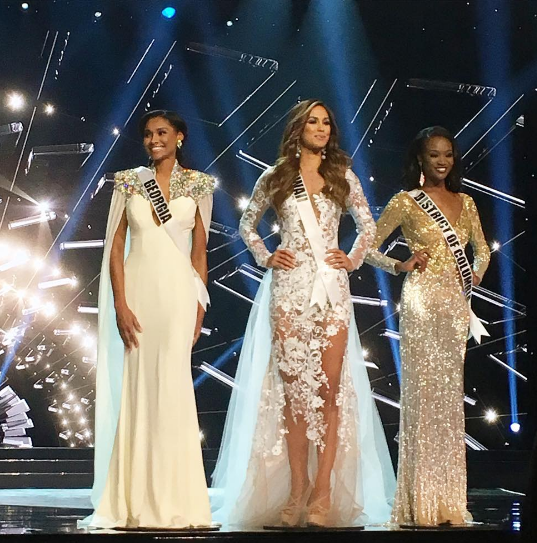 "To me confidently beautiful means understanding that it's not always about your appearance. 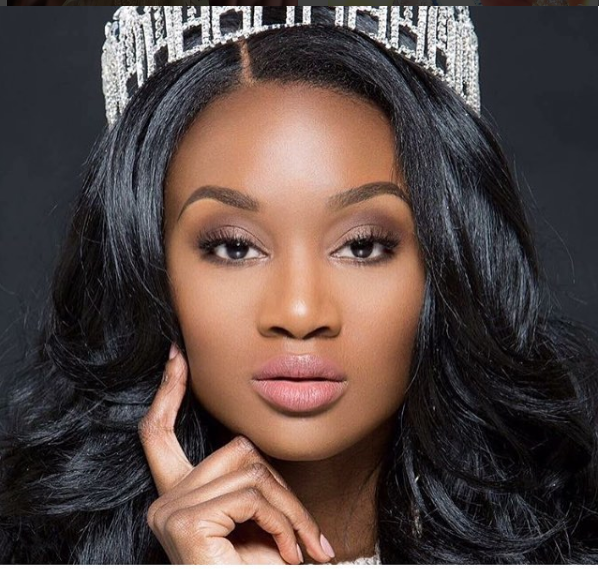 It's not always about who you're around and how they feel you look, where they feel you come from or your economic background," Deshauna explained. 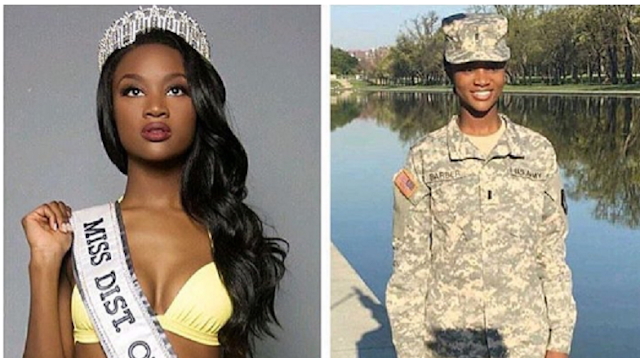 "Serving in the military has taught me that being confidently beautiful is about being able to earn respect from people regardless of what you look like. As a woman in the military, people associate beauty with weakness and they learn very quickly that I'm extremely strong. And although I'm small, I'm powerful and confidently beautiful is being myself and being very happy with who I've become. Thank you."